Find out how to create c# web scraper. Data extraction sample for Ebay: tutorial, video demo. With the passage of time, the process of extracting data is increasing. The data in different websites can be accessed through their web API or web services. If some websites does not provide or allow access to their data then Web scraping is used which is used to accessed data. Web scraping allowing developers to simulate and automate to human browsing behavior to extract content files, images and other information from web applications to perform specific task. Now I’am going to scrap a website with C#. 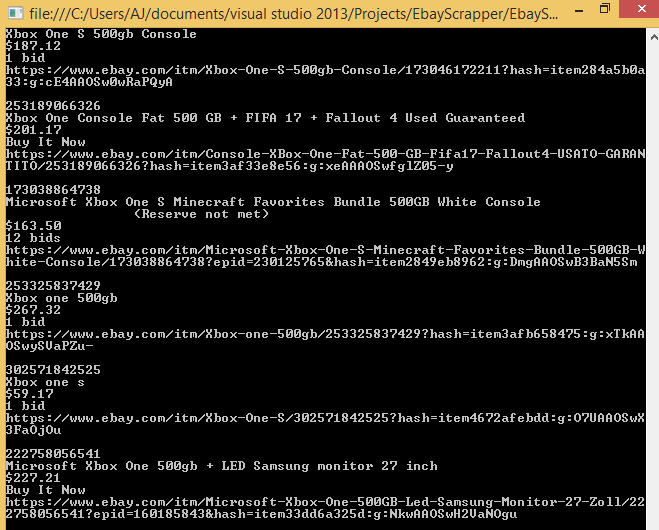 I’am going to scrap ebay which is very famous website using C#. This process follows a procedure and the procedure contains different steps which are as follow in details. •Open Visual Studio. 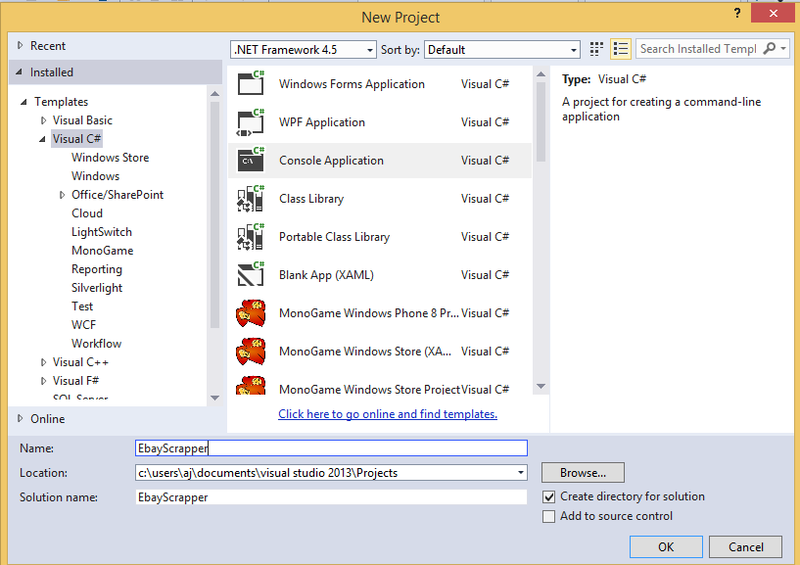 Add new project and choose the C# console application from the template. Name the project as EbayScrapper as shown in fig. •On ebay website go to advanced search and search xbox one. The items related to this will be shown. •Copy this URL and paste it in main program because we’ll scrap this web page later in this article. 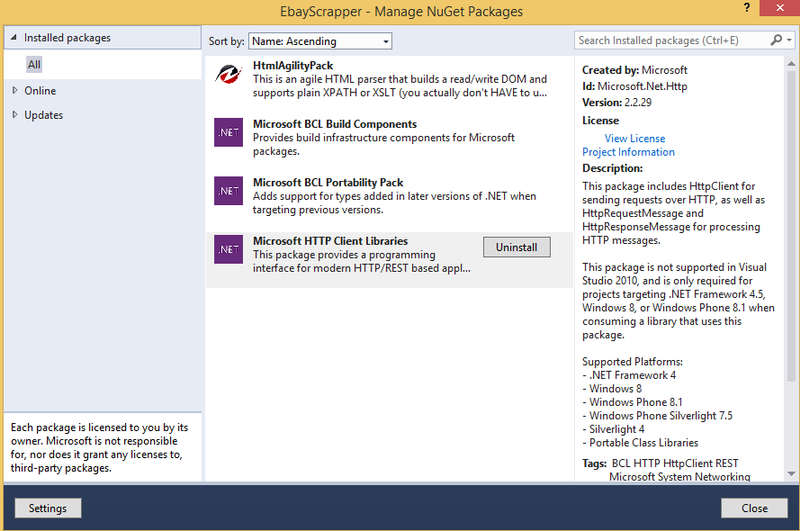 •After this we will need to install following from C# NuGet packages by just right click on reference in program directory. Following are the necessary things for scrapping this website. •The following code will determine the exactly website code which we can check onto the website. •Now after this we will parse data from ebay to our application. 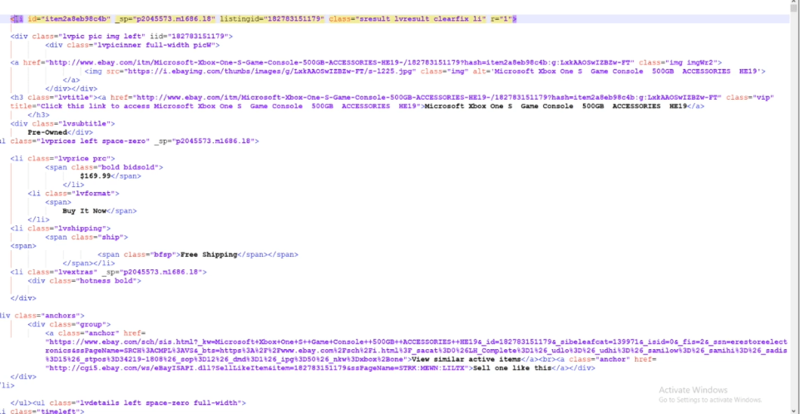 For this we use Html document. We will write a code for grab list items. We write this code according to the website code. 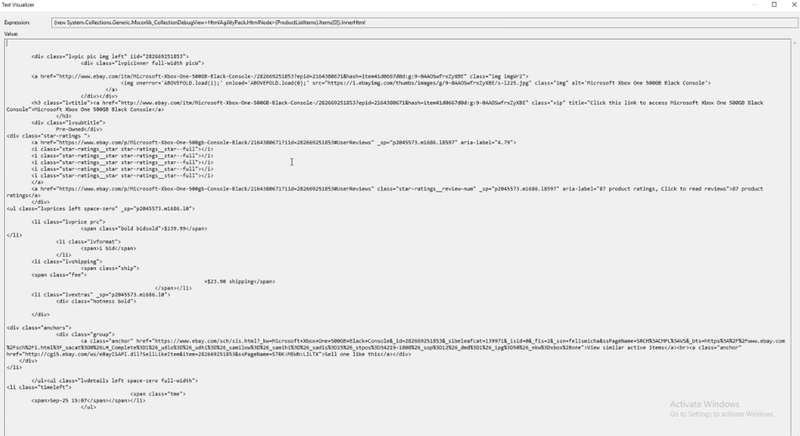 •Now this steps will pull out all information from website to my console application. For this I’m going to make some implementation to existing code. •First of all I’m going to use for each loop that will sort things in my console according to website. •All these implementation are made according to the anchors and attributes of the website. Sample Product on ebey website.